Looking to vacation somewhere warm this year? Then Marco Island, Florida, awaits you! 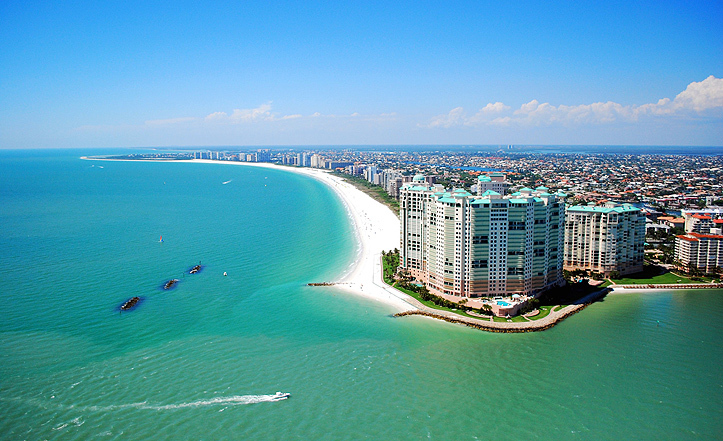 Marco Island is a barrier island in the Gulf of Mexico, making it a wonderful place for relaxation and sightseeing. Just imagine walking on the sandy shores, swimming right alongside dolphins, going on a bike or boat tour, kayaking, and even paddle boarding. Plus, there are plenty of spas all around as well as wonderful shopping and dining venues. 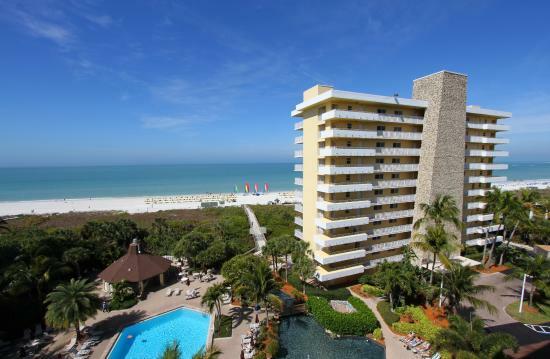 Best of all, there are amazing timeshare resale resorts in Marco Island, allowing you to have a great vacation stay with lots of amenities and accommodations at a low price. Marriott’s Crystal Shores Marriott’s Crystal Shores on Marco Island is a sparkling gem on the southwestern tip of Florida’s Gulf Coast. It’s situated on three miles of pristine beaches, offering stylish residences within four luminous towers. Elegant swimming pools cascade from the open-air lobby to the beach, providing guests a picturesque setting to relax and unwind. Numerous on-site amenities and neighboring Naples entice visitors with plentiful shopping, upscale dining and a rich arts culture. Sunset Cove Resort-Hilton Grand Vacations Marco Island is renowned for world-class golf and spectacular water recreation, and is home to a superb collection of shops and restaurants in the neighborhood and in nearby Naples. Just a quick drive from the beach, Sunset Cove overlooks the Smokehouse Bay waterway and features upscale décor that creates a relaxing environment of island elegance. With a premier location in the heart of Marco Island’s thriving new entertainment and retail district, this exquisite property treats guests to tastefully appointed accommodations and close proximity to all this island paradise has to offer. Experience the undeniable allure of Marco Island from this comfortable and luxurious getaway. The Surf Club of Marco-Hilton Grand Vacations From its prominent perch at the center of Marco Island’s pristine beach, The Surf Club of Marco delivers an unforgettable vacation experience, blending peace and tranquility with the exhilaration of swimming, sailing, windsurfing and other seaside activities. Guests at this charming resort follow winding walkways through beautifully landscaped grounds to the beach and shimmering waters of the Gulf of Mexico. Abundant restaurants and evening entertainment are within walking distance, and vacationers enjoy easy access to the nearby Everglades National Park and the mangrove-lined estuaries and breathtaking beauty of the Ten Thousand Islands. The Charter Club of Marco Beach-Hilton Grand Vacations Marco Island, the largest of the Ten Thousand Islands leading to the Florida Everglades, is a tropical paradise nestled between the Gulf of Mexico and pristine natural wetlands. From its ideal beachfront setting, The Charter Club of Marco Beach delivers a vacation experience that’s sure to delight all ages and interests. An extensive selection of activities awaits visitors, from sailboat rentals, tennis instruction and nearby golf courses to poolside recreation and peaceful strolls on the beach. Within walking distance are charming shops and restaurants. Marco Island’s secluded environment provides the perfect backdrop for both relaxation and adventure. Sunrise Bay Resort & Club Condominium On Marco Island, Florida, where the sun is warm and the breeze gently blows through the palm trees, there is a small resort where you only get lost if you want to. Our spacious air conditioned condominium comfortably sleeps four, with all the conveniences of home, overlooking our private boat dock and pool. The beautiful sheltered bay is just minutes from the Gulf of Mexico in one of the resort-owned boats, and land lovers can visit the beaches by car or bicycle. Sunrise Bay is within walking distance to fresh seafood restaurants and quaint shopping areas. Back at the Resort, relax in the whirlpool spa or outdoor pool, drop a line in the water from the chickee on our dock or just watch the dolphin play. These Marco Island timeshare resale resorts are great to vacation at, especially during the winter when all you crave is the sun and some relaxation. So what are you waiting for? Call to find out more! Next Next post: Should You Trust Timeshare Resales USA?